The new regulations of USCG Subchapter M have pushed the tug and towboat industry into a catch-up pace in the most important arena that our industry has been lacking in, SAFETY! The tug and towboat industry is decades behind in requiring safety standards for vessels and personnel. At IntraTug, we are proud to say that we are USCG Subchapter M Compliant. We have spent the last 3 years preparing for the new Sub M rules process, and our diligent focus on safety and our existing safety culture has made the transition less painful. Our on-board training system provided by Helm, in conjunction with our partner Tug and Barge Solutions, has been integral in the implementation of our company specific Towing Safety Management System (TSMS). Our efforts in compliance won’t ever stop as our TSMS is a living and breathing member of our IntraTug family and will continue to directly benefit our personnel and vessels. 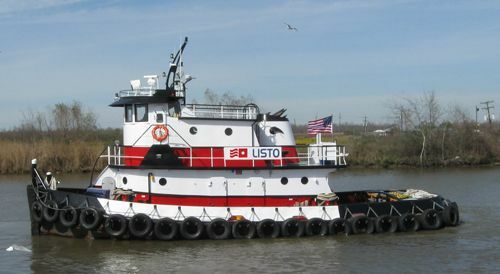 Whether your needs are for small tendering tugs/pushboats in shallow water dredging operations, crane barge set-up and support, or if you simply need to move products and supplies at an economical rate on the Intracoastal, across the Gulf, or around the horn, then IntraTug is READY to serve you.